With that comment, Taylor Twellman echoed the frustrations of U.S. Soccer fans across the country. It’s been almost a year since Bruce Arena stepped down as U.S. Men’s National Team head coach after his squad failed to qualify for the 2018 World Cup. Like many fans, Twellman has grown annoyed and impatient with U.S. Soccer’s delay in filling the vacancy that Arena left. Last week, before the U.S.A.’s friendly against Mexico, Twellman, the U.S. national-turned-analyst continued to vent over ESPN’s broadcast. Twellman was referring to the end-of-year deadline set by former Philadelphia Union Sporting Director, now USMNT General Manager Earnie Stewart. Stewart’s only explicitly stated task as GM is hiring a new U.S. Men’s head coach. Given Stewart’s slow pace in fulfilling that task and given the MLS season still going on, many have speculated that Stewart is looking for an MLS manager to fill the open head coach position. The impatience amongst U.S. Soccer enthusiasts like Twellman boils down to this: It’s been a long time since the USMNT have been in need of a head coach, so any reason for this delay better be a good one. Waiting to hire a coach so that he can finish his MLS season is not a good enough reason. In all likelihood, however, standing by while the MLS season wraps up does not tell the whole story. This delay comes as no surprise to anyone acquainted with Earnie Stewart’s modus operandi. Many Philadelphia Union fans in particular will know exactly what Stewart is doing — or they’ll at least meet it with some sense of familiarity. It was not uncommon during Stewart’s tenure with the Union for the club to wait as long as possible to make roster moves. Current team captain Alejandro Bedoya didn’t sign with the Union until hours before the close of the 2016 summer transfer window. Philadelphia didn’t sign their current no. 10, Borek Dockal, on loan until just three days before the start of their season. That was late enough that Dockal had to sit out the season opener. It should be noted that both signings have evidently played out well, but their delays and the delays of other moves still kept fans uncomfortable. It is likely that even if USSF had hired Stewart during the MLS offseason, Stewart still would have waited quite a bit before hiring a manager. The question still remains, why? A frustrated fan base may attribute the wait to a lack of urgency. The 2022 World Cup is now little under four years away, and while most U.S. Soccer fans feel a pressing need to make moves after the team’s devastating loss in Trinidad and Tobago, they likely assume USSF doesn’t feel the pressure. Others may look at Stewart’s late decisions and long periods of ostensible inaction as unprepared or disorganized. If the Union knew they wanted Borek Dockal, why they didn’t sign him as soon as they could? If Stewart wants Gregg Berhalter to be the next head coach of the U.S. Men’s National Team, why doesn’t he ink him to a contract? Neither of these explanations seem to quite match up with Stewart’s history, however. 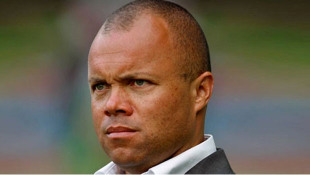 Earnie Stewart is a competitor and a prominent former U.S. national. He wants to win a World Cup and to change U.S. Soccer for the better. As Stewart has testified in the past, it takes time for a coach to implement a style and a culture, and it takes time for players to accept those things. It is therefore unlikely that Stewart does not feel the same sense of urgency that Taylor Twellman does. To suggest that Earnie Stewart is disorganized is perhaps even more off the mark. USSF has certainly made many mistakes, but their new GM is nothing if not precise. An enormous proponent of implementing a system and relying on research, Stewart is organized and prepared almost to a fault. Stewart’s short remarks are indicative of a long, complex process. Before Earnie Stewart made any major hires or player decisions at any of the organizations he’s led, he has met with that organization’s technical staff, basically to define the identity of that organization. This definition is comprehensive and it is essential. It enumerates, among other things, the values of the club, the personality of the fans, and the character of the city (or in this case country) in which the team plays. From this essential identity, Stewart and his staff have defined what kind of player they want to field, what kind of style they want to play, and, perhaps most importantly, the “principles of play,” as Stewart calls them. It is this comprehensive, time-consuming process that is at the heart of the delay in hiring a coach. We saw it during Stewart’s successful tenure at the Dutch Eredivise’s AZ Alkmaar; we saw it after he joined Philadelphia Union. Doubtless, then, we are witnessing the same process now with the U.S. Men’s National Team. This identity that Stewart and his staff define inform virtually every decision the organization makes, especially the hiring of a coach, and it is therefore basically locked. It is no wonder that it takes so long before fans get to see the organization act in public. Earnie Stewart doesn’t fire coaches. Not really. Let’s remember, this is a sport that saw Leicester City fire head manager Claudio Ranieri the very season after Ranieri helped the club beat 5000-to-1 odds and become English Premier League champions. In his time at AZ Alkmaar and Philadelphia Union, Stewart’s clubs fired only one manager. The reason given was a “lack of chemistry” with his players. After several mediocre finishes for Philadelphia Union, many fans called for head coach Jim Curtin’s job. Stewart remained vocally committed to Curtin, who still leads the Union. Again, it should be noted that Alkmaar were quite successful under the managers during Stewart’s tenure, and Jim Curtin has received recent praise for his results. By his own admission, Stewart does not believe in change for change’s sake. That is to say, unless there is another candidate that will virtually guarantee his team better results, Stewart is not going to fire his manager. He believes his teams are as likely or more likely to excel with the manager he has. For what it’s worth, the numbers do back him up on this. It is safe to assume that Stewart will be no different with the USMNT. After he hires his man, whether it’s Gregg Berhalter or Peter Vermes or Tab Ramos, that will be the manager for U.S. Soccer for better or for worse. Barring some insane occurrence, the next manager of the USMNT will be the head manager for the duration of the 2022 World Cup qualification cycle and the 2022 World Cup, almost entirely regardless of his results. If Stewart hires a Jurgen Klinsmann, who tries to switch things up from match to match, trending towards disqualification, then a Jurgen Klinsmann will be the head coach during the 2022 World Cup. If Stewart hires a Bruce Arena, who begins to turn things around but fails to capitalize on crucial moments, resulting in a horrible historic moment, then a Bruce Arena will be the head coach during the 2022 World Cup. In that sense, the wait is absolutely worth every second. Yes, the United States have been without a Men’s National Team coach for almost a year, but Earnie Stewart has only held his position — the one position that hires the head coach — for little over a month. Recognizing the statistical evidence, Stewart maintains most teams are best when they stick with their managers through thick or thin. Stewart’s decision will be a lasting one. Certainly U.S. Soccer can afford the time necessary to ensure that his decision will also be the correct one. Isn’t it possible that they’ve already quietly reached out to a # of desirable coaching candidates and for any # of reasons, been turned down? Or they agreed in principle but want to finish their current season without the distraction of everyone knowing. They are not necessarily looking for good coaches…….. I don’t see the rush. Let it happen. ES will choose a guy. There isn’t a real meaningful event until the January camp and that will be the real start of the new coaches term anyway. Fine, I’ll do it. Where do I report? Everybody ready for a 3-back, 2-striker system? !